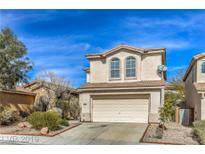 Find Southern Highlands, NV Homes for sale. View Photos, Maps and MLS Data Now! Bella Terra At Southern Highlands - Home is close to shopping and just minutes away from the new Raiders Stadium The only thing missing is you! MLS#2089856. Las Vegas Shorewood Real Estat. Southern Highlands - Enjoy this terrific backyard complete w/ sparkling pool, above ground spa, BBQ island, & covered patio. MLS#2089617. Huntington & Ellis, A Real Est. Bella Vicenza At Southern Highlands - Fantastic Location Close To New Park, Walking Trails, Amenities & Easy Access To Freeway! This Is A Must See! 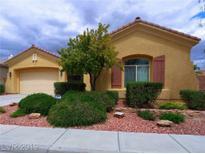 MLS#2087036. First United Management Group. Highlands Ranch - The backyard has just been upgraded with fresh landscaping! ! MLS#2089280. Maxim Properties. 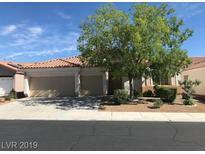 Montagne Marron At Southern Highlands - A Great Room Upstairs With 3 Other Bedrooms.Large Backyard And Gated Nice Community MLS#2089721. Show Vegas Realty. 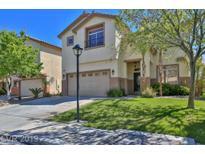 Via Dana At Southern Highlands - Upstairs is the huge master bed & bath plus 3 more bedrooms, 3rd bath & laundry up. Amazing amenities! ! MLS#2089479. Vegas Dream Homes Inc.
Park Paseo Southern Highlands - 2018 Renovation and remodel, updated den and master bedroom including beautiful modern flooring. MLS#2089126. Realty ONE Group, Inc.
Highlands Ranch - Beautiful well kept home ready for you to make it your own. MLS#2089447. Milestone Realty. Royal Highlands At Southern Highlands - The spacious backyard boasts a gorgeous, extended paver patio. MLS#2089217. Huntington & Ellis, A Real Est. Southern Highlands - Both Bathrooms Have Vanity Counter. Neutral Colors. Desert Landscaping. MLS#2089314. Fisher Real Estate and Propert. Only 15 minutes drive to T-Mobile Arena, Mccarran Airport, and the new Raiders Stadium! MLS#2089367. BHHS Nevada Properties. Triana Southern Highlands - Don'T Miss Out On This Move-in-ready Home! ! MLS#2089396. Keller Williams Market Place I. Large Backyard,Desert Landscaping. Ref, washer, dryer included MLS#2089003. Urban Nest Realty. Heathers At Southern Highlands - Zoned for brand new elementary school. MLS#2089044. Windermere Anthem Hills. Cactus Hills Manor - Pride of ownership! It is definitely a must-see. MLS#2088383. Realty ONE Group, Inc.
Toscana Vinyards At Souther Highlands - Amazing 3 bed, 2.5 bath w/loft *Vaulted ceilings in the formal Living/Dining room *Stained concrete floors, carpet/tile, stainless Steel appliances, custom wood baseboards throughout, downstairs laundry room, master upstairs w/double door entrance, walk-in closet, double sink, separate tub/shower*A must see! MLS#2088373. Keller Williams Southern Nevada. Ansedonia At Southern Highlands - Nice Patio with side yard! Schools and Shopping are Close! MLS#2087175. Keller Williams Realty SW.
Glenhaven At Southern Highland - Charming Single Story Situated In The Master Planned Community Of Southern Highlands; Home Features Spacious Open Floor Plan; Ceramic Floor Tile In All The Traffic Areas; Formal Dining Area, Living Rom, Kitchen With Granite Countertops And Large Island For Entertaining; 3 Car Attached Garage And Very Low Maintenance Landscaping. MLS#2088380. LIFE Realty District. Walking distance from elementary, middle & high school. A must see! ! MLS#2087948. Simply Vegas. *beautiful 3 Bedrm, 2 Bath Home In Southern Highlands*enter Into The Living Room/Dining Area*ceramic Tile Thru Main Areas*kitchen W/Stainless Steel Appliances*separate Family Room*master Bedrm In The Rear W/Bay Windows, Walk-in Closet*separate Secondary Bedrooms*two Tone Paint*landscaped Rear Yard With Covered Patio And Stamped Concrete, Pool Size Lot*above-grnd Spa*solar Screens*newer Water Heater*very Clean*sid Paid* MLS#2087796. BHHS Nevada Properties. Highlands Ranch - HIGHLY UPGRADED HOME,FEATURING Fully remodeled Kitchen : Backsplash, Quartz countertop with Single-basin undermount sink & spring extendable faucet,Soft-close cabinets, island with microwave additional cabinets/shelving;Spare bedrooms: Jack&Jill bedrooms & full bath with double-sink vanity,Master: large walk in closet , Master bath double sink vanity and walk-in glass shower.Backyard WITH large patio cover spanning length of home with pavers! ! MLS#2087558. King Realty Group. Royal Highlands At Southern Highlands - Beautifully upgraded over 5000 sq.ft home in Guard-Gated Royal Highlands* Huge over 10,000 sq.lot w/ POOL/waterfall & SPA*HUGE finished BASEMENT w/lots of NATURAL LIGHT* 4 large bdrms+den that can be 5th bdrm* Island kitchen w/granite counters, tile backsplash, stone accents* Formal living rm/dining rm* Family rm w/wet bar* Upstairs master suite* Upgraded flooring* Shutters* Sweeping staircase w/wrought iron rails* Central vac* 3 fireplaces. MLS#2087389. Realty Expertise.